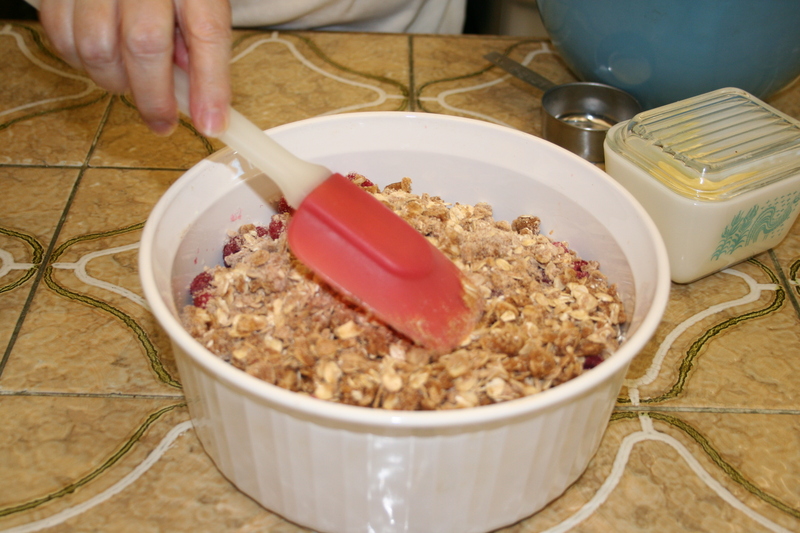 Here’s a delicious and good-for-you dessert recipe that is ssoooo simple to make! 🙂 I used raspberries, blueberries, and nectarines, but you can literally pick your favorite mix of fruits. 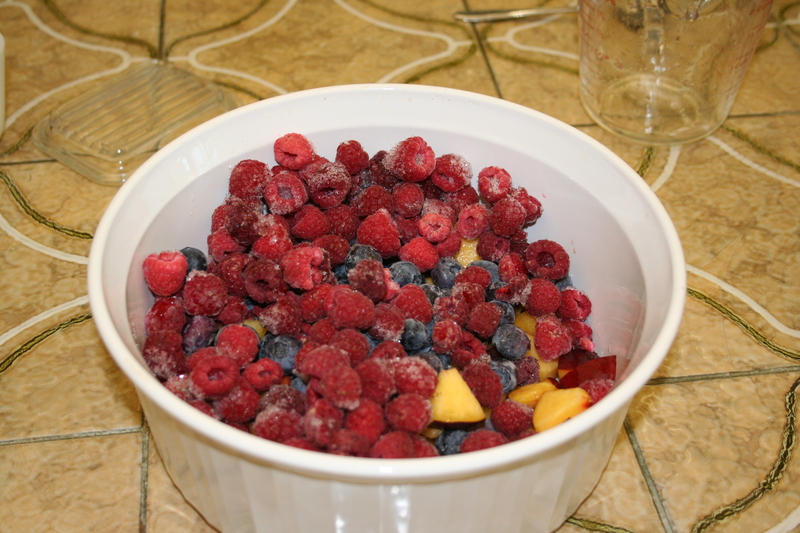 Combining different fruits creates a nice blend of flavors. And adding a little ice cream and/or whip cream touches it off nicely!! 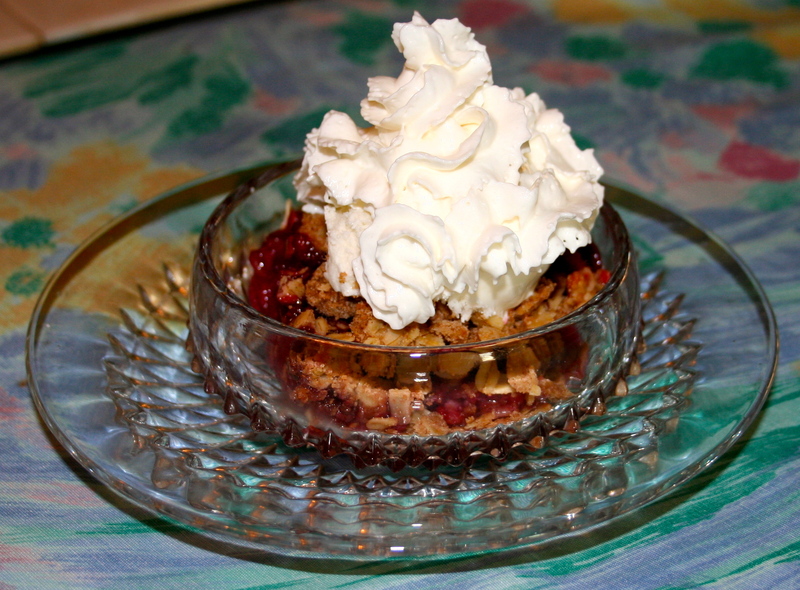 Recipe adapted from Canadian Living’s Raspberry Nectarine Pie. 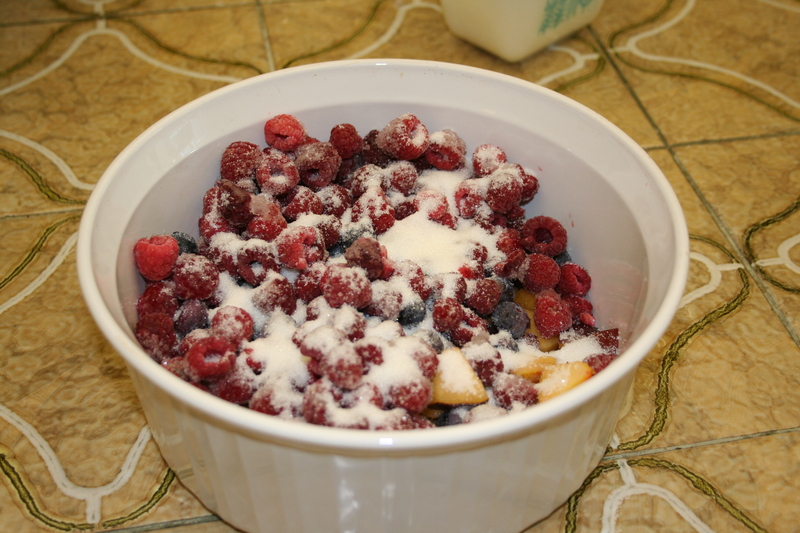 Mix together fruit in a casserole dish. Sprinkle sugar and lemon juice on top. 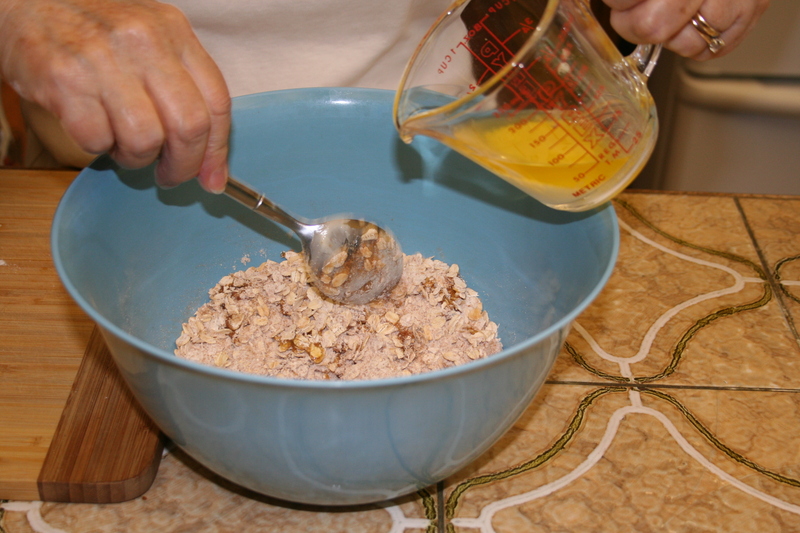 In a separate bowl mix together topping ingredients. Bake at 350 degrees for 1 hour. 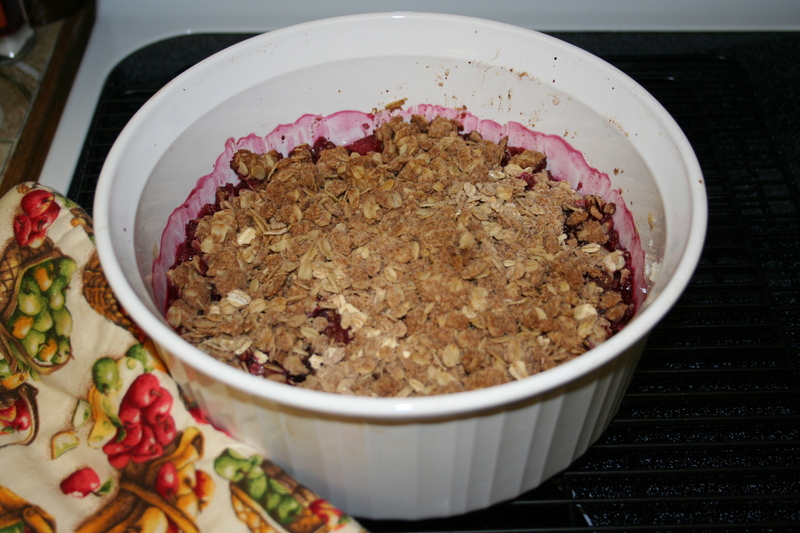 Let it cool for about twenty minutes before serving.